Can “sustainability” be an intentional methodology for design? 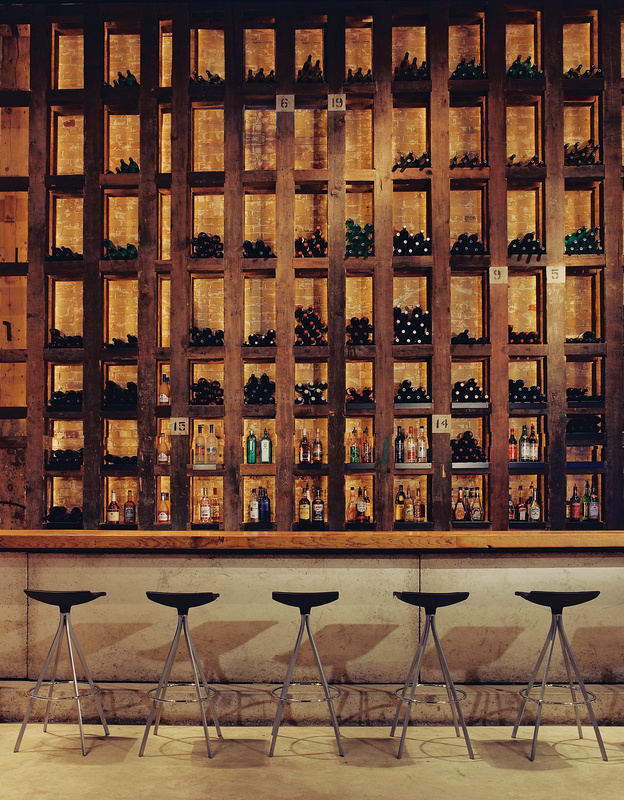 The Ownership team of Toronto’s famed Gooderham & Worts Distillery District thought so. 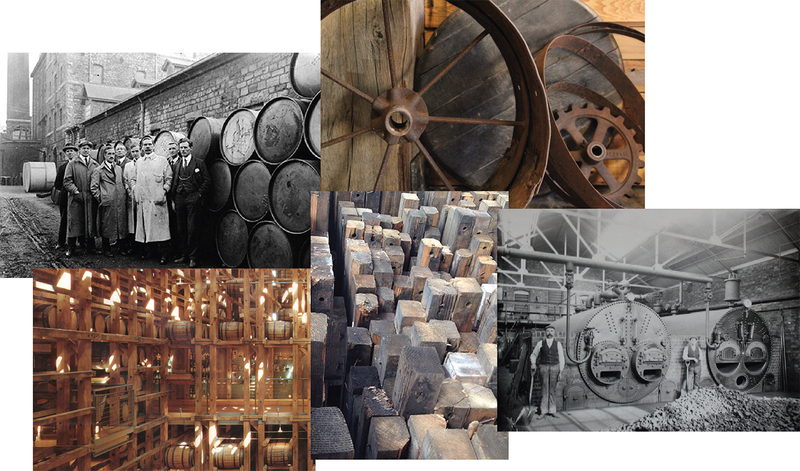 The largest and most intact brownfield site in Canada was purchased by Cityscapes Development Inc. in 2001 and it features a collection of 40 Victorian brick and timber whisky production buildings. It was a beautiful time capsule, but the prospect of developing it into a successful commercial neighbourhood would require some real chutzpah and vision. With very little budget and a lot of potential downside, Cityscape Development decided that their first visionary step would take the shape of a destination restaurant. mackaywong took the lead and was challenged with a creative brief that demanded an approach to reuse, recycle and plan innovatively. A very ambitious mandate indeed, but the design team understood that this unique project afforded everyone an opportunity to not only celebrate the material essence and architectural spirit of this 19th Century industrial district, but also through the process of construction to educate and give something of meaning back to the community. 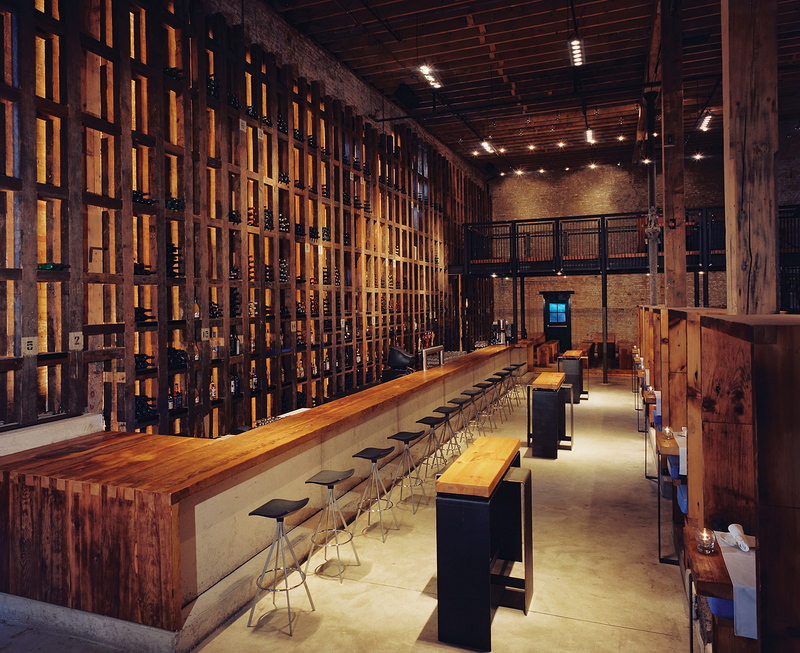 The massive main bar features a cast in place concrete fascia and 3” thick redwood planks that were former floorboards from a neighboring building. Most of these buildings were constructed at a time when it made sense to produce everything you needed on site, from barrels to age the whisky to the labels on the bottles. 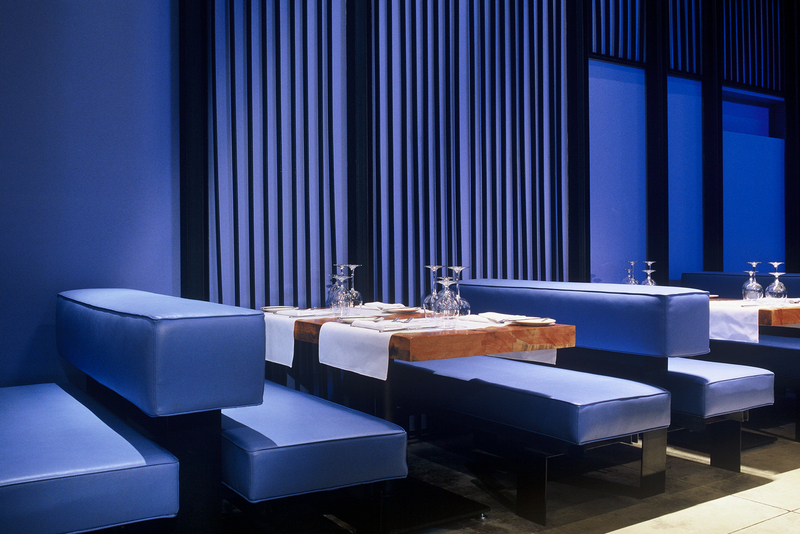 Our architectural and material solutions would find inspiration in this improvisational approach. 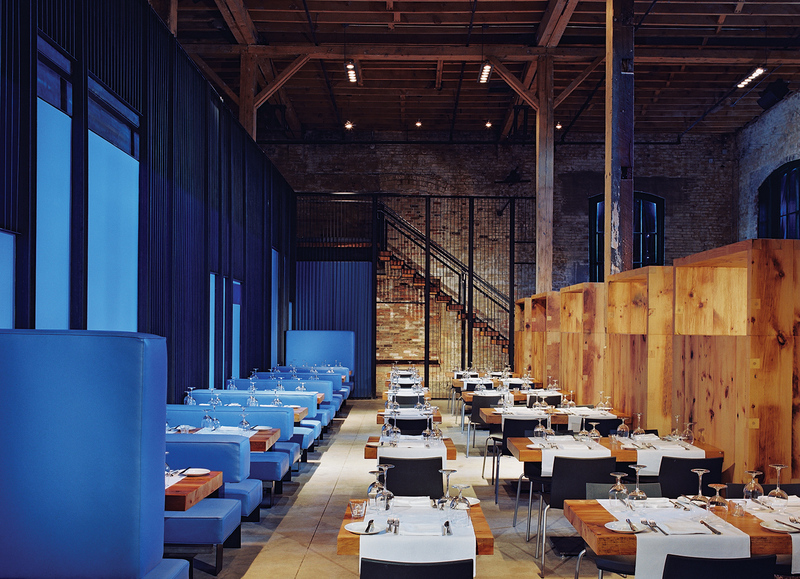 Walking into the double height brick shell of the Districts’ former boiler house, the experience is akin to dining in a soaring wooden cathedral. 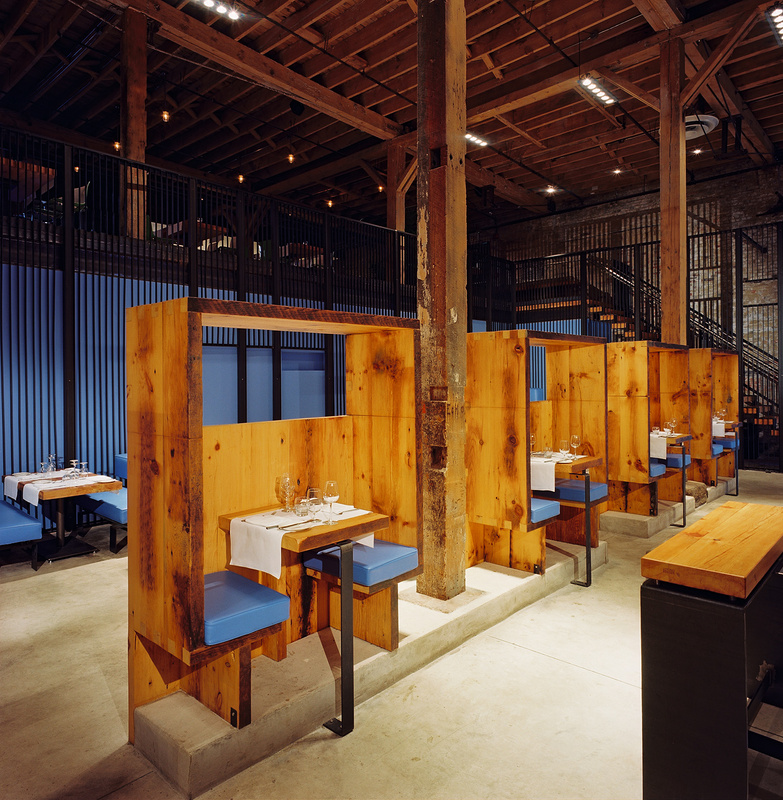 The dining areas and their furniture pieces celebrate the industrial pedigree of the property. 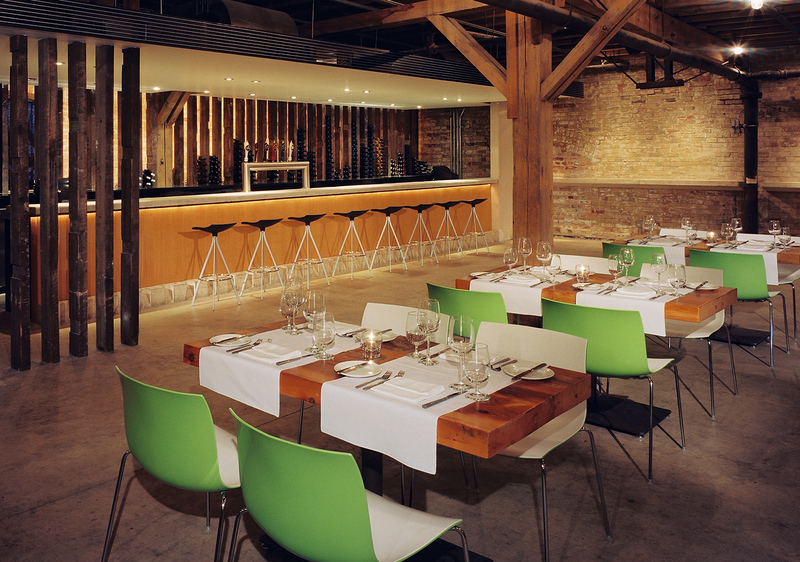 Tables are hewn from recycled structural Fir timbers while contemporary seating selections add a cool and modern vibe. Our creative strategy for the project determined that the design concept would celebrate the architectural memory of the site in a manner that was respectful and informed but never nostalgic or trendy. 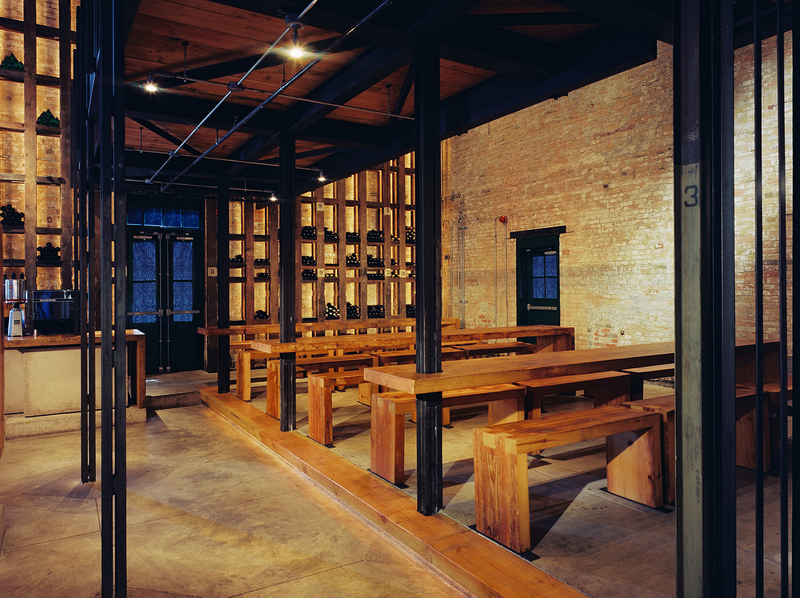 Improvising with a limited palette that ranged from rough-hewn Douglas Fir planks, steel bars and concrete, each detail expresses a passion for the place and speaks of the craftsmanship that built the Distillery District and the fine spirits it produced.